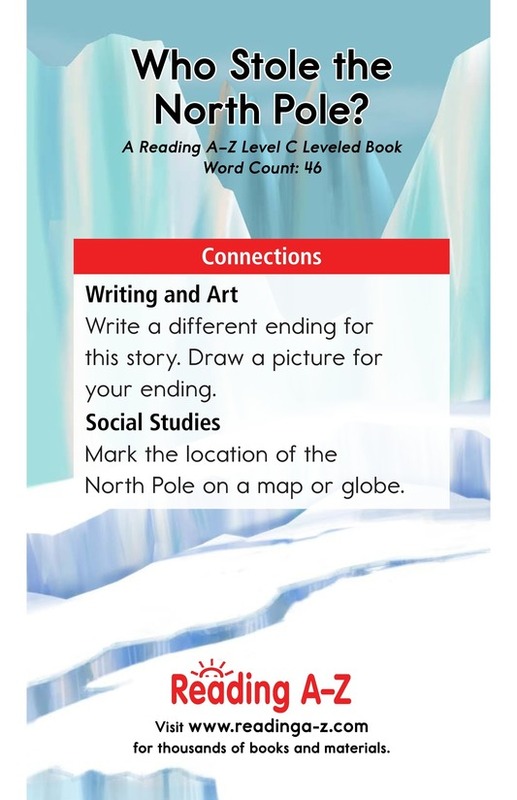 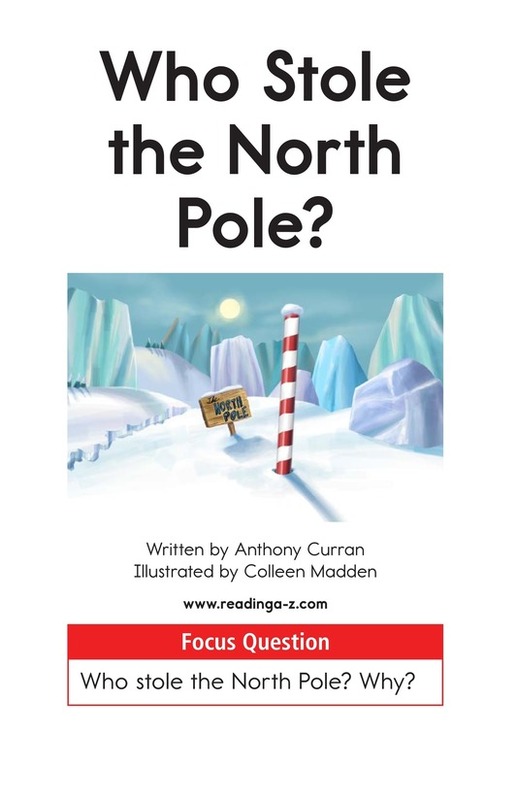 > Books > Leveled Books > Level C > Who Stole the North Pole? 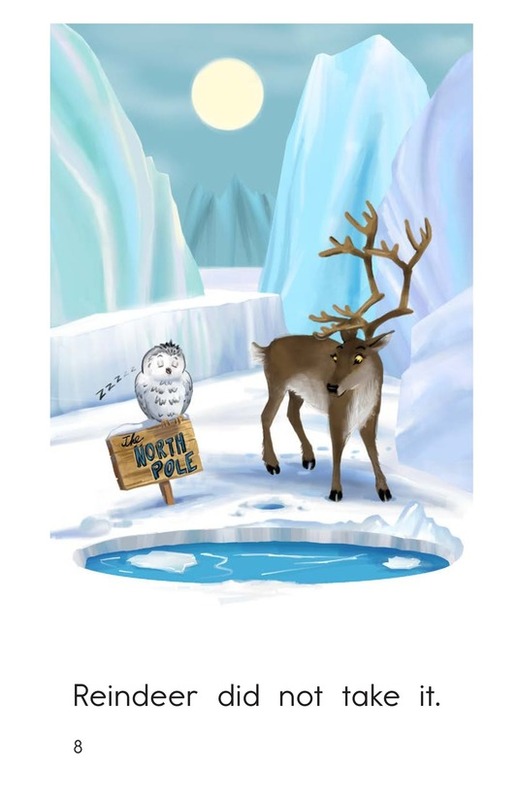 The pole that marks the North Pole is missing! 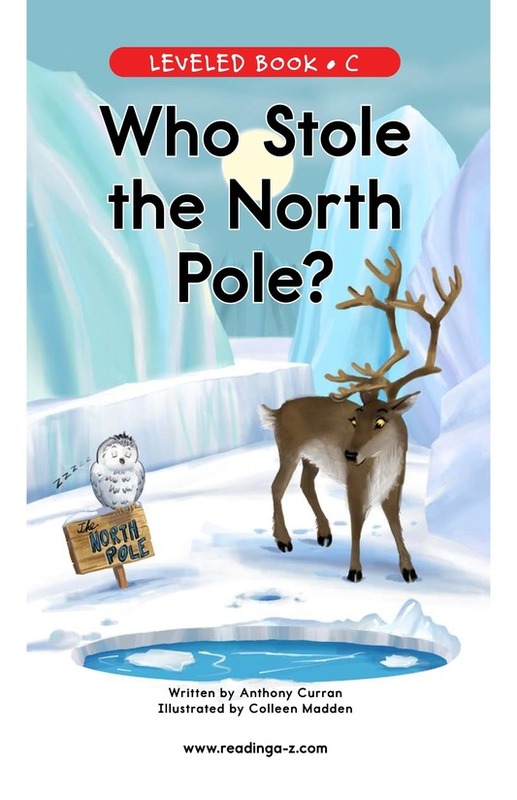 Who could have taken it? 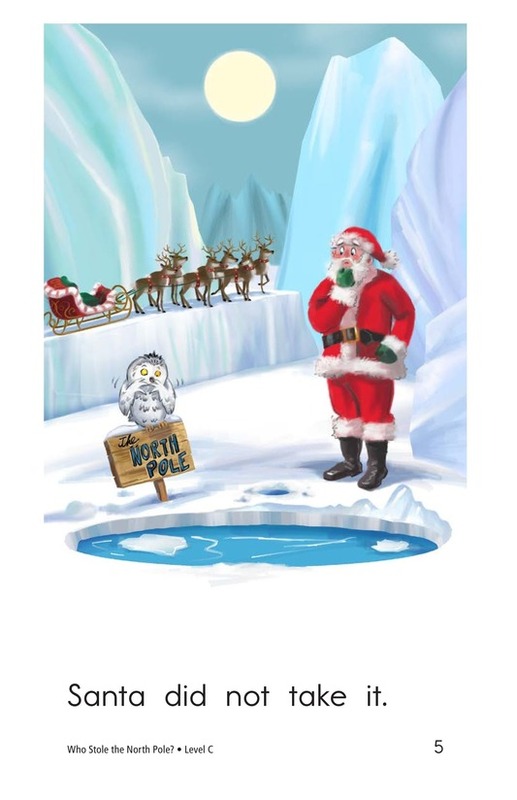 Who Stole the North Pole? 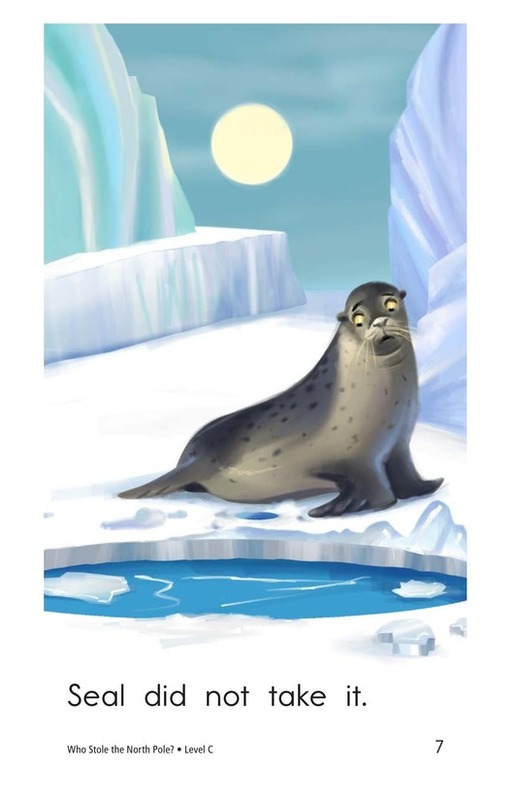 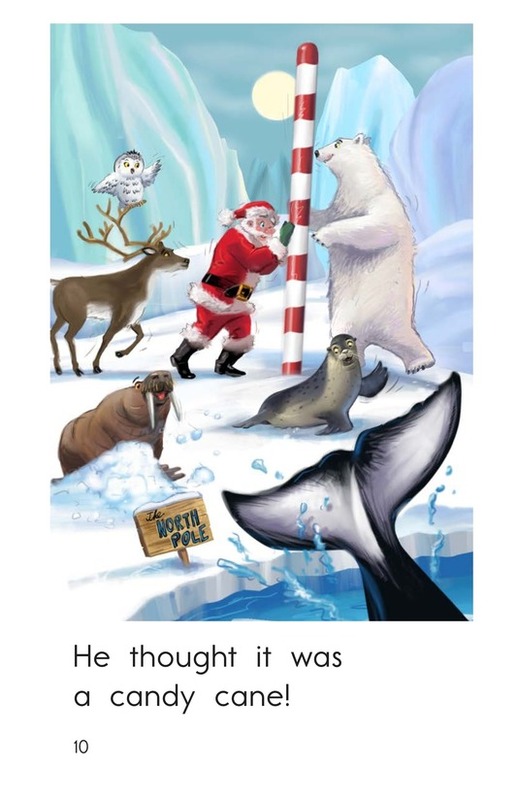 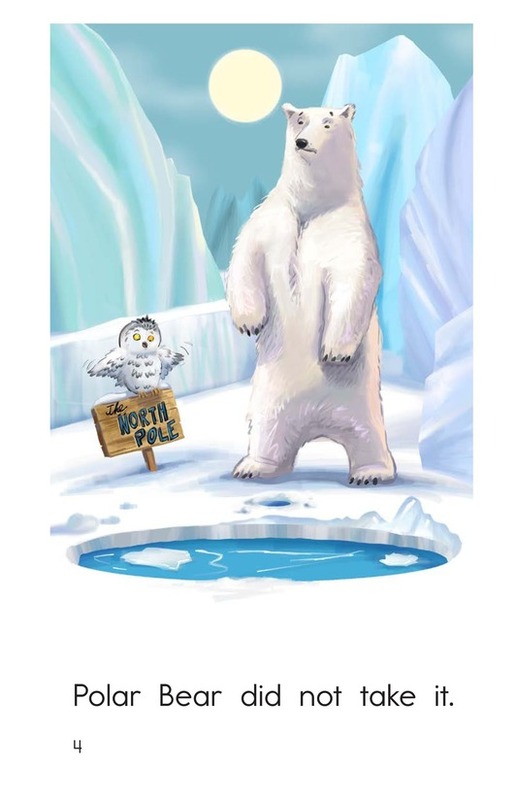 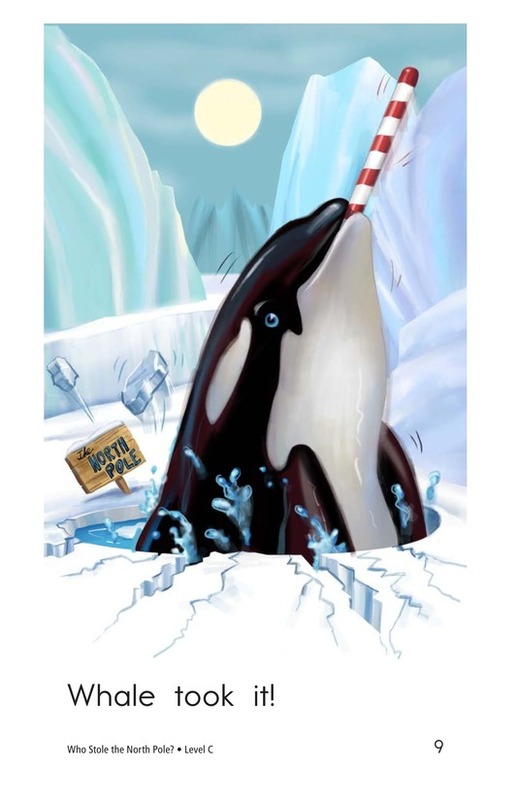 is a humorous story about a mystery at the North Pole. 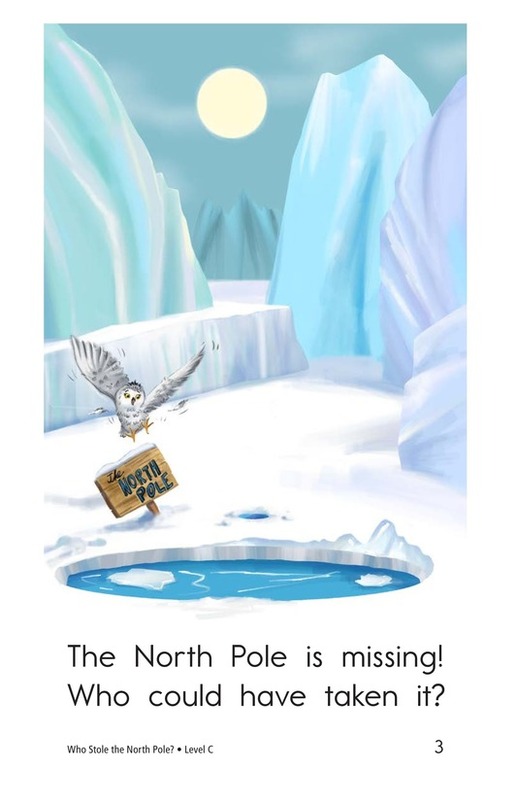 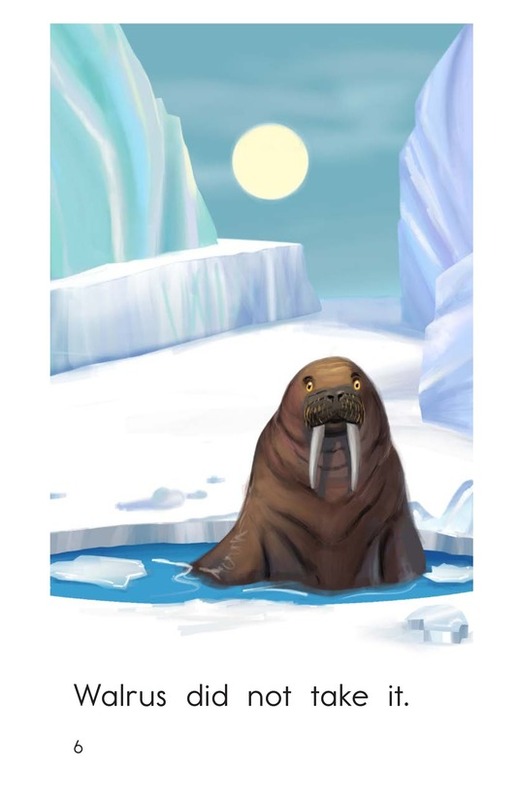 The detailed illustrations and repetitive text will support emergent readers. 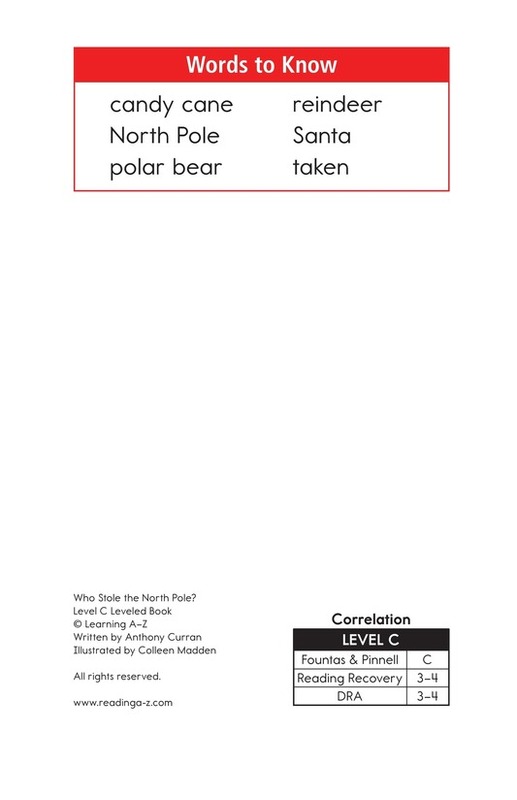 This book can also be used to teach students how to identify problem and solution and the simple subjects in sentences.